Registration was through Active so it was all done online. You could also just register for the race that morning if you wanted. I registered a few days before the race for only $25 and could have gotten this for $20 if I registered sooner. Race day cost was $30. Very reasonable. My buddy and I got there about 8:30am with a 9am start. I enjoy running smaller races and it's a bonus this one is 20 minutes from home and it was not necessary to get up at 4am to go to it. The race just used the park bathrooms which was adequate for the people at the race. The yellow sign had the bib numbers for runners and we gave them to the volunteers and got our bibs and shirts. The timing was done by Hanson's and they did a great job with it. I assume Hansons also helps with course measurement and it was spot on for the five mile race. You could also opt to run a 5k race too. 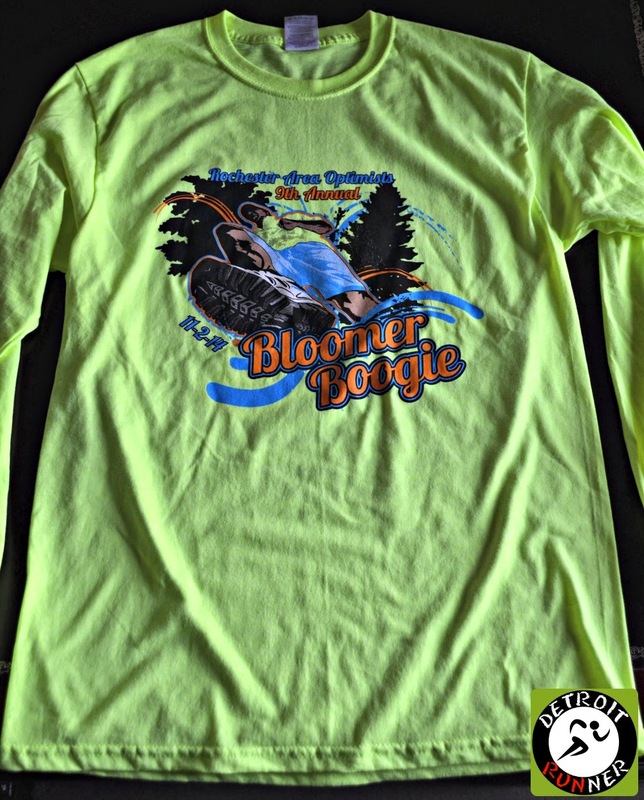 The race is located at Bloomer Park in Rochester Hills - a great place to run some trails. I even went out there the day before and got some more miles in too. It was a very informal start. The runners lined up to run. The race did a couple announcements about the course and for the first ever time in a race, we did the pledge of allegiance. I remembered it all too! Haha! I had no goals for the race given its near the end of racing season so I just did what I could to run fast. I was not expecting the time I finished in especially given this being on trails and grass. I was very happy with my finish time and that I was able to place second in my age group of men 40-49. While there were some hills, it was not crazy hilly and made for a very fast course. You can tell how small a race is when you see below of where I lined up. I'm not one to typically be near the front of the pack but given the smaller size of the race, and how I finished, I think I lined up in the right place. The Rochester High Schools cross country teams practice out here but, of course, their season is over. The course is a mix of grass and trails. While there are single track trails in the park, we run two track on this course. For most of the race, all you need to do is follow the white chalk line that was clearly marked. The race blew the leaves off it so we could see where it was the entire time. If you ran the five mile, they had taped markings so you knew where to go in addition to volunteers there directing you. It was well organized and there was no way to get lost. The five mile runners took a one mile out and back past the sledding hill and onto more trails. The route took you through a parking lot for a little bit as well there was also a second aid station there. The trail below kind of felt like a small Paint Creek trail and was very enjoyable to run with minimal elevation. The five milers had one more loop in the trails and we exited out to the grassy area where the finish was located. As you passed the finish area, a volunteer asked you your age to see if you won an age group award which I did. Then they gave you a bottle of water. I talked to Trevor while we waited for Kevin to come in as well as his wife Sarah who was also running the race. It was a great day for a race even though it was a little chilly to start. After we finished, we headed back to the pavilion to grab some post race food. There was one aid station that runners ran past twice and there was also an aid station out for the five milers. The volunteers did a great job and they had water ready for everyone as we passed. In the pavilion, the race had several choices to eat including bagels, apples and bananas. They also had cider and coffee too. Kevin and I talked for a little bit after the race with Sarah and Trevor but standing around got cold so we headed home. For your race entry fee, you received a chip timed, measured course. You also received a cotton long sleeve shirt. I like that the shirt is not white and the logo on it is actually very nice but I rarely wear long sleeve cotton and my daughter wanted it so I gave it up. 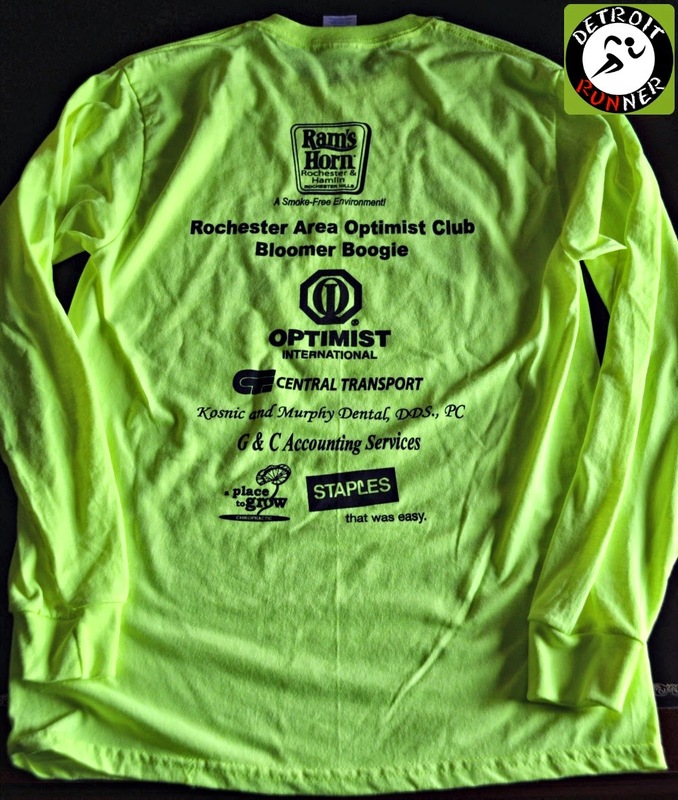 I love the design of the shirt and bright yellow seems to be in for this year. There were no finishers medals as would be expected but if you placed in your age group, you got a medal. They gave them for the first three runners in ten year increments. The organization was good. I wish the race would update their website as it makes it easier to see what's going on before you sign up. Other than that, registration was easy, the course was measured well, the course was marked well, their aid stations were adequate and the volunteers did a great job. The finish line food was good and plenty of choices. Overall, I really enjoyed the race. 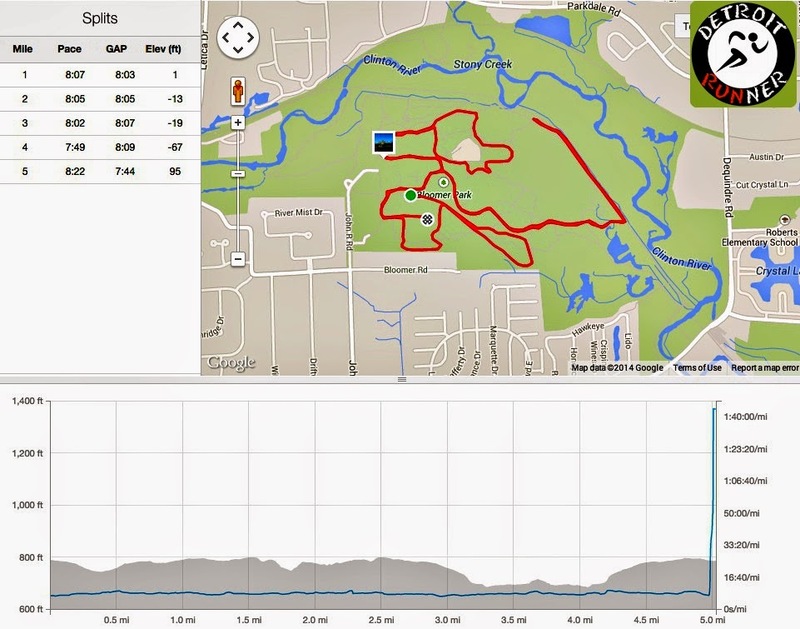 Yes, it's very small and low key but the course was really nice as I love running the trails. It's a great November race to choose and there is still plenty of fast competition to race. While I've run races much faster, this one really was a race for me. I don't think I could have gone much faster than I did. I also think if you are thinking of trying out trail running, this would be the perfect race to start with since the elevation was not crazy and was a very runnable course. 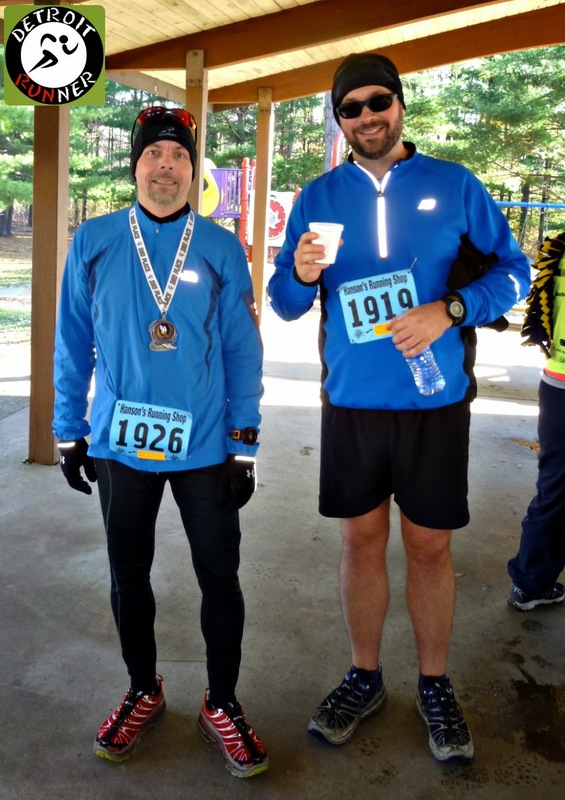 This is definitely a race I would do again and I'm happy I added this at the last minute at the suggestion of my running buddy. Disclosure: I paid for this race with my own funds. All opinions are my own. OK so I have to ask: did you know you were 2nd, and where was that first placed guy? could you have caught him? I like the little races more than the big races.